At the risk of being lambasted by my Republican friends and acquaintances, let me begin by asking the following question. How long will western society survive with growing poverty if the wealthy receive benefits and priority not given to those less wealthy? It can be argued that Bill de Blasio’s mayoral campaign revolved around this very issue. Personally I am not his biggest fan, but I wonder if the very criticism he received on the night of the snowstorm of January 21, 2014 was indeed validation of his position. I do not live on the Upper East Side of Manhattan so I am unable to make any accurate claims in this article regarding the specific events that took place. However, what I do know is that there is a lot of money within that community and I am fairly certain that many of the residents are used to a certain treatment based on their financial status. So when there is a complaint that the snow did not get removed fast enough, I can’t help but wonder if this is more a product of there now being a level playing field than about there being a poor response to the storm. 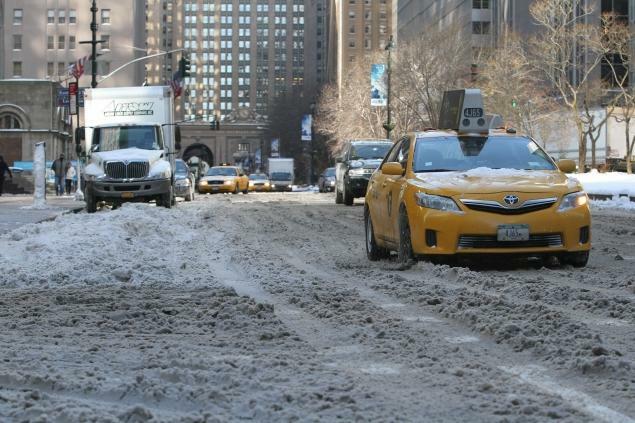 The administration was criticized for taking too long to remove snow from certain areas of the Upper East Side, while areas of Brooklyn were completely cleared. DeBlasio campaigned on the idea of one New York and equal treatment for all 5 boroughs. The question that needs to be asked is whether or not the slower pace at which the snow was removed from the Upper East Side was more a reflection of him keeping that promise than it was of him not being properly prepared. It is fairly easy to predict that many Manhattan residents will say it is the latter, especially based on what they have been used to over the years, but we all know that people often give opinions based on personal bias rather than fact. I can’t help but wonder if Bill de Blasio’s remarks about being able to do more for the Upper East Side may be more a reflection of political pressure than of culpability. If indeed this was a product of local government giving equal treatment to all its citizens, it represents a shift in policy rarely seen so clearly on such a large stage in a major U.S. city. I for one would like to see the results of an investigation purely to know the answer to this question since it carries great significance. Personally I make no claims to knowing what the answer actually is, but can’t help but hope it represents an equality not usually provided to the less fortunate. Let me start by putting everyone’s concerns to rest. This post is not a means of exposing personal anger or displeasure. The extent to which this applies to my own life may or may not be obvious to those who know me best, but either way it is of little consequence. The initial question, does it pay to be nice, is in itself somewhat of a loaded question. Looking at it from a completely literal standpoint, to imply that it pays to be nice may send a message that there can be monetary value attached to nice behavior. The best way to put that to rest is by reminding everyone that given a choice, people will not part with their money. This means that the aspect that makes someone nice is the fact that they are giving with no demand for compensation of any sort and subsequently people will not generally provide payment if they can avoid doing so. But let’s be honest. When people say, “it doesn’t pay to be nice”, they more often than not are referring to rewards other than financial ones. Will they get the desired result from being nice? Will they reap emotional or practical benefit? Will they strengthen a relationship? 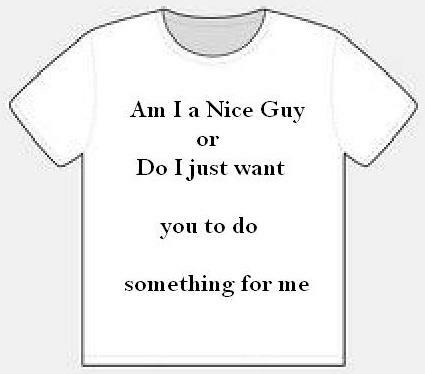 The core of this question may go the honest intention of the person being nice and what being nice actually and truly means. Why do we do things for others? Is it to make ourselves feel good or to make others feel good or gain benefit? If we are to say that the one reward we are looking for is that good feeling generated by our niceness and the reaction it generates, is the act no longer selfless? Is it indeed a very basic example of selfishness at its core, albeit in its most honest form, a concept often stated in the writings of Ayn Rand. This leads to the next question. If one is being nice for their own sake rather than for the sake of others, are they indeed being nice or are they being self-serving? I think that too often people try to redefine or even worse, recreate human nature. People need motivation, and even the kindest of people generally do things for the pleasure they receive in providing a kindness. There may be those on the highest religious level who do things solely because they think it is God’s will, but even these people, assuming they are being totally sincere, are doing so to get in the good graces of a higher power. In other words, they do so to benefit on some level. What it ultimately comes down to is expectation. If ones expectation is their own personal feeling and the reward that provides, being nice will more than likely payoff for them. If however their reward is contingent on a person’s response, their reward is anything but a certainty. The next issue needed to be addressed is the distinction between nice and good. Leo Durocher was famous for saying, “nice guys finish last”. Does that mean Durocher was preaching bad behavior? Absolutely not. There is a difference between good and bad, even if everyone does not agree what actions belong in each category. However a person can be good without being nice. Good deeds and correct actions are not contingent on nice overtures. Some of the best people you can ever meet, and by best I mean rich in goodness, may very well be people whose words and mannerisms are not what we would consider nice. I can make a very strong argument that given a choice between someone who is good and someone who is nice, we have more to gain by surrounding ourselves with someone who is good. Even though nice and good are not mutually exclusive. So why do I believe people won’t read this? I don’t know that I do. But if putting that in the title got you to this point in the article, I’m glad I misspoke and want to thank you for being nice enough to read what I wrote. Hopefully you gained some benefit from my words and my appreciation is all the payment you required. When I think of Ariel Sharon and what kind of leader he was and the person he appeared to be, I realize that his legacy tells the real truth about Israel, its leadership and its approach towards its enemies. Let me begin by saying that I have always lived by the basic premise that when a man or woman who has devoted their life to the betterment or safety of the Jewish people passes on, I as a Jew will mourn their loss. 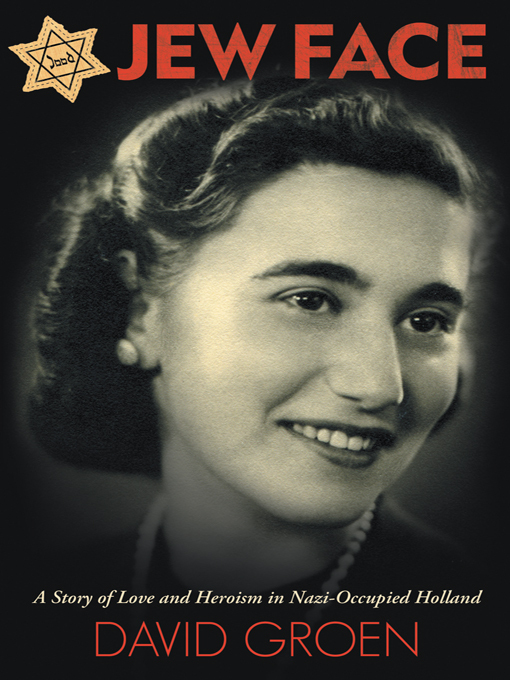 With our history, both ancient and modern filled with persecution and murder, we as a people need to appreciate those whose lives were focused around what at least appeared to be, the protection of the Jewish people and or the security of the modern Jewish State of Israel. With that in mind I speak from my heart when I say Rest in Peace Ariel Sharon. When one examines Ariel Sharon’s life, it is clear that this was a man who was strong and forceful, unafraid, and at times one might say brutal. If we look at the list of Israeli Prime Ministers starting with David ben Gurion in 1948, it is very clear that the two most militant were Menachem Begin and Ariel Sharon. It should therefore come as no surprise that Ariel Sharon served under Begin as Secretary of Defense. To me however there is a very clear difference between the two men. Menachem Begin, my personal political hero, was so militant leading up to the establishment of the State of Israel that some described him as a terrorist. However as Prime Minister, an argument could be made that Begin was more moderate than Sharon. To someone without a vested interest in Israel and the Jewish people, Menachem Begin’s greatest legacy was the peace treaty with Anwar Sadat and Egypt. Ariel Sharon on the other hand was seen as far more controversial, even to the point of being called a war criminal by his enemies. 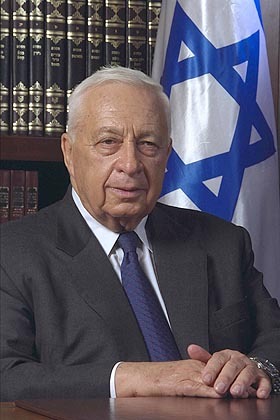 As someone who tries to be fair and equitable in my opinions I contemplated his legacy and in doing so realized that Ariel Sharon’s behavior as a leader in the Israel Defense Forces (IDF) and Prime Minister of Israel, actually tells the truth about Israeli leadership and its approach towards Arabs and the Palestinian issue. Consider this fact. Mohammed Abbas, President of the Palestinian National Authority, by most accounts a moderate, was quoted as saying, “We have frankly said, and always will say: If there is an independent Palestinian state with Jerusalem as its capital, we won’t agree to the presence of one Israeli in it.” Abbas was the leader of the element within the PLO responsible for the hijacking of the Achille Lauro cruise ship in October 1985. It was during this hijacking that Abbas’s people, shot a 69 year old Jewish wheelchair bound man named Leon Klinghoffer in the head and threw his body overboard. I use Abbas as an example to compare the Palestinian’s most “moderate” leader to Israel’s most extreme leader, Sharon. The incident that causes some people to brand Sharon as a war criminal was the massacre in Sabra and Shatila. Under his command as Secretary of Defense for the IDF, Sharon did nothing to prevent the massacres of Palestinians in these southern Lebanon refugee camps. The massacres were perpetuated by Lebanese militants with connections to the Syrian government, which incidentally was then run by the father of Syria’s existing dictator, Bashar al-Assad. Therefore, if we choose to look at this with brutal and objective honesty, we might say that Sharon was guilty of being complicit in someone else’s crime. Sharon also would lead the charge for more settlements in what the world likes to refer to as the “Occupied Territories”. For the sake of this discussion I will go along with the term. Subsequently, if we are to accept this logic, Ariel Sharon, the Israeli “war criminal” was primarily most notorious for two things, not preventing the citizens of another country from murdering each other, and for accelerating the building of homes for his residents in the occupied territories. If we were to take the side against Ariel Sharon we would say that he was cold and callous with no consideration for the well-being of Arabs, particularly Palestinians within Israel and its surrounding nations. As a Jew and a Zionist I can confidently make this statement. We would dance in the streets of every city we reside in worldwide if the most militant of our enemies would be most guilty of not caring if we kill each other and for building homes on the land they occupy. What Ariel Sharon’s life shows us is that even the “worst” of Israel’s leaders still live by a higher moral and ethical standard and are less likely to murder their enemy in cold blood than the majority, if not all of the most moderate of Arab leaders. The world will likely not see it this way because anti-Israel sentiment is becoming a popular fad, but for those who analyze this honestly the truth will be glaringly apparent. Ariel Sharon’s life as an Israeli leader proves this better than anything else ever could. 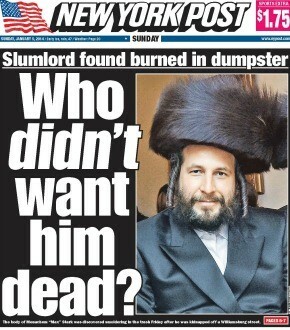 The story of Menachem Stark, recently murdered slumlord, found dead and burning in a dumpster in Great Neck, NY has been all over the news. The story is well known and the reporting on the story, specifically by the New York Post has become quite controversial. Did I mention that Menachem Stark is a Hassidic Jew? Of course I didn’t. Why? Because it makes me uncomfortable on many levels. And here is why. To begin with there is the issue of what is known in Judaism as the Chilul Hashem. The term, loosely translated into “The desecration of God’s name”, represents behaviors by someone who is clearly Jewish as being a poor representation of Jewish behavior. Every time I see the face of this man, a man I did not know, I become uncomfortable with the knowledge that much of what he is accused of has a strong chance of being true. I know that there could have been circumstances when I stood next to him in prayer. I don’t know that I have, but I have been in enough locations over my life not to know that I haven’t. So on one level I am somewhere between heartbroken and angry that a man who represented himself as being a guardian of the Jewish faith may have been guilty of being a slumlord concerned only about his personal fortune. I don’t know any of this to be true. But remember, this is about my discomfort not my personal judgment. Part of what makes me feel this uncomfortable is the same thing that makes me shudder every time I think of his fate. Hassidic Jews to anyone who has been exposed to Orthodox Judaism on any significant level are not people seen as being larger than life. Even those seen as great by all, the pious, learned, and charitable types are still accessible to the people around them. The basis of Hassidic Judaism is piety as it was formed to allow Jewish people who were not skilled in learning to still achieve a high level within the community based on their decency and kindness. So yes, Menachem Stark may have been guilty of every charge made against him, but the thought of him being kidnapped in the snow, beaten, suffocated, burned and put in a dumpster gives me the highest level of discomfort. Let me be clear about one thing. I would have seen it as being just as wrong if he was not Jewish, but again, this is about my personal discomfort not my personal judgment. And lastly and most likely most significantly, my discomfort comes with the knowledge that there are those out there who hate the Jewish people even when we do things right. This is just the story they look for to strengthen their resolve. They will accentuate his Jewish image as being part of the motivating factor in his lack of business ethics, they will highlight those who worked with him and defend him as being more evidence of what a “dirty Jew” is capable of, and they subtly, if not obviously, bring attention to all the things that makes his appearance and lifestyle different. All this will at the very least be justification in their eyes for finding ways to marginalize if not completely remove the Jews from any status in society and at the very worst, justify violent acts against any Jew for no particular reason. I can’t control the images that a tabloid like the NY Post chooses to display. I understand the anger at the Post because it does magnify who he was and what he very possibly did wrong, but at the end of the day I believe in free speech and their right to do so. Just as I believe in anyone’s right to protest against their journalism be it by speech, protest, or by not buying the paper at all. Regardless of how we respond to the reporting of the story I will still be very uncomfortable with the whole situation. And I hope that if there are people out there who are representing themselves as Jews, particularly pious Jews that they take a good look at their actions and understand the responsibility that comes along with it. Not just to the outside world but to other Jews like myself who are most likely just as uncomfortable as I am.